Pouring a perfect pint is now at your fingertips with hand-adjustable knobs that instantly alter carbonation levels. 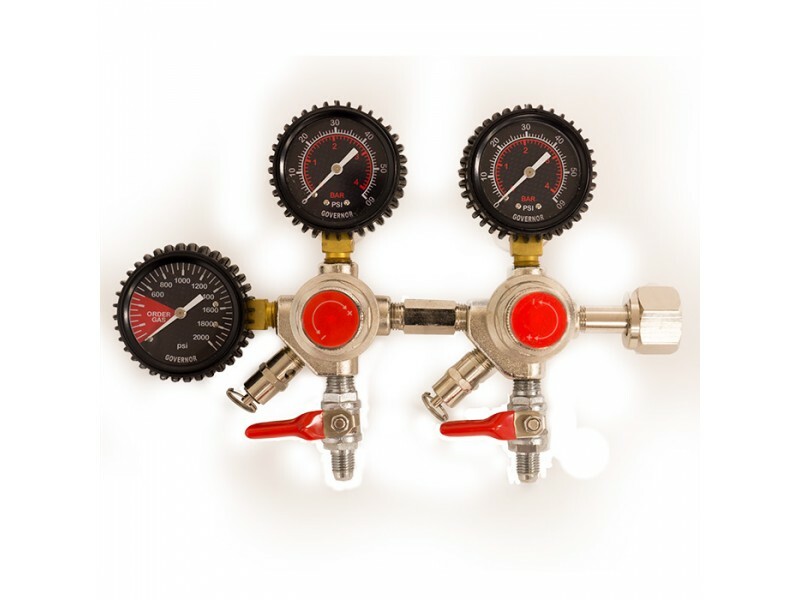 Add variety with double regulator functionality by serving two home brews at independently controlled pressures from the same CO2 tank. Match the appropriate carbonation to each beer style.The Governor Double Body Regulator will never let your supply run dry with the ability to force-carbonate a second, backup keg while you keep serving from the first.Or use the second regulator to hook up your counter-pressure bottle filler.When you're ready, expand your system with additionalkegs,agas distributor, andgas lines. The most versatile regulator for your kegerator/keezer build!